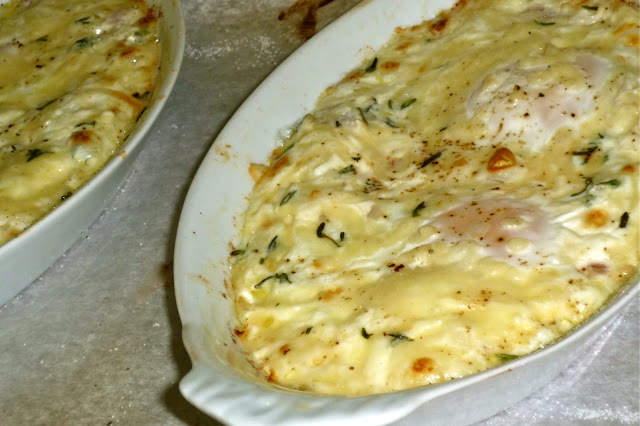 This week, #SundaySupper is sharing Eggtastic recipes! Our hostess is Wendy from Wholistic Woman. She asked us to share our favorite egg-centric recipes. I absolutely love cooking with eggs! This versatile ingredient is economical, and it's and excellent source of protein. 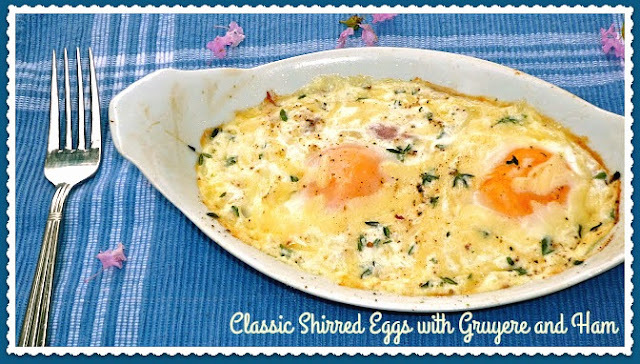 Today, I'm sharing Classic Shirred Eggs with Gruyere and Ham. This delicious, slightly decadent dish is perfect for weekend brunch -- or a quick weeknight Brinner. If you've never had shirred eggs, you're in for a very special treat! 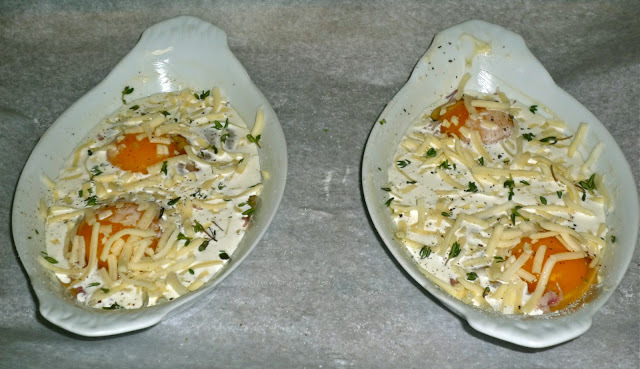 This French classic features eggs baked in a shallow dish with a bit of cream. My version is flavored with thyme, prosciutto, and nutty Gruyere cheese. 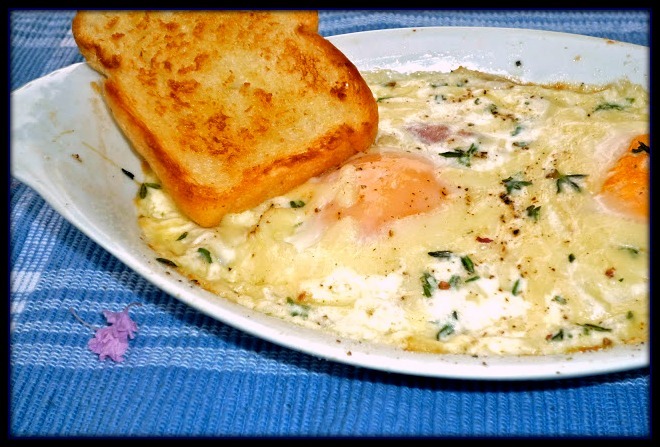 This recipe's a keeper folks...and it's one of my most favorite ways to enjoy eggs! Step 1: Preheat oven to 400. Place two shallow ramekins on a rimmed baking sheet lined with parchment paper. Butter each ramekin with half of the softened butter. 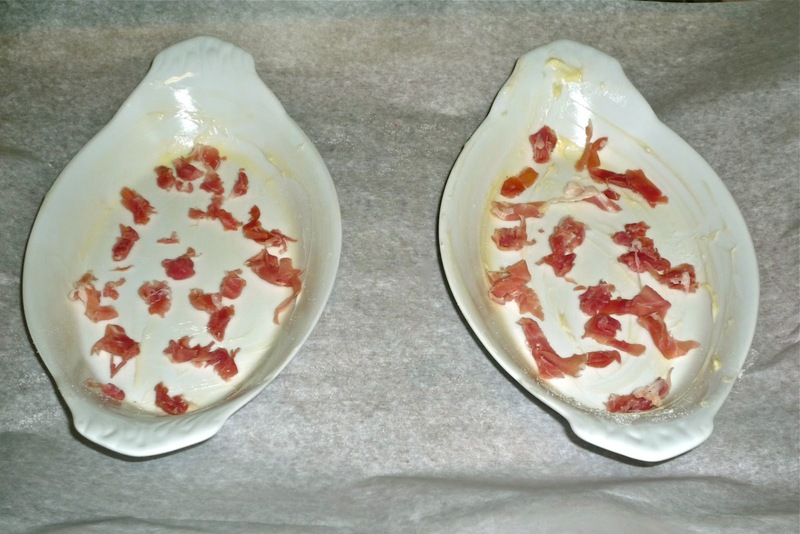 Add half of the chopped ham to the bottom of each buttered ramekin. Step 2: Break two eggs into each ramekin. Top the eggs in each ramekin with 3 tbs. of the cream, 1.5 tsp. minced shallot, 1/4 cup of the shredded Gruyere cheese, the leaves from one sprig of thyme, and salt & pepper to taste. Step 3: Bake the eggs for 7-10 minutes, turning the baking sheet around halfway through the baking time to ensure even cooking. The longer you bake, the more the yolks will cook. For semi-runny yolks, I cooked my shirred eggs for about 8 minutes. Keep in mind that the eggs will continue cooking when you remove them from the oven. Step 4: I like to served shirred eggs with toasted slices from a mini loaf of bakery bread. You can also serve with slices of toasted baguette or croissants for an oh-so-French brunch or light supper. As you can see, buttered toast works perfectly for dipping in the rich, golden yolk! Mercy...is this dish GOOD! 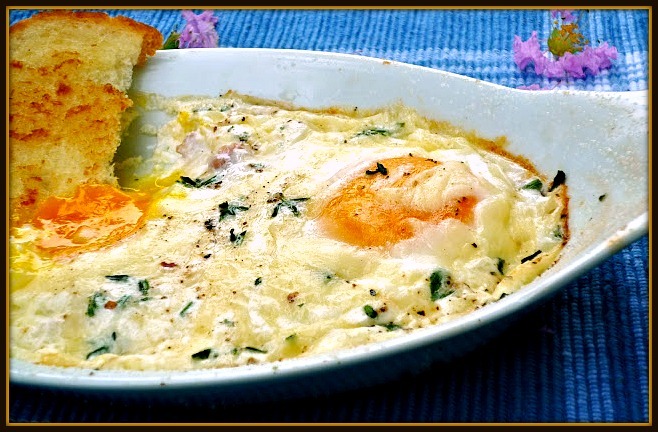 Creamy baked eggs with slightly runny yolks, earthy thyme, shallot, smoky-salty ham, and nutty Gruyere combine to make one delicious dish. Because this dish contains just a few simple ingredients, be sure to buy the best-quality ingredients you can afford. Now that you know how amazing shirred eggs are, I hope you'll add them to your menu very soon! Be sure to visit all of this week's #SundaySupper participants to check out all of the fabulous egg-selent recipes that are being shared. We've got everything from appetizers, to main dishes and desserts. Be sure to join the #SundaySupper conversation on Twitter today! 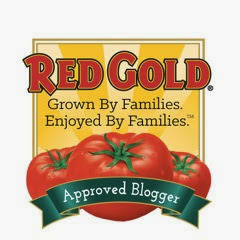 We tweet throughout the day, and we share recipes from all over the world. 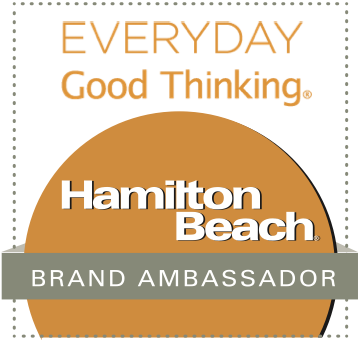 Our weekly Twitter chat starts at 7:00 pm ET/6:00 pm CST. Be sure to follow the #SundaySupper hashtag, and remember to include it in your tweets, to join in the chat. 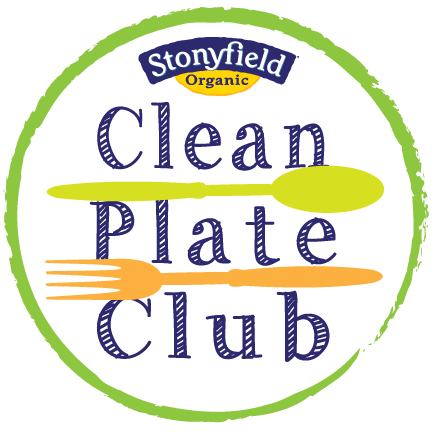 To get more great Sunday Supper Recipes, be sure to visit our website -- or check out our Pinterest board.Would you like to join the Sunday Supper Movement? It’s easy! 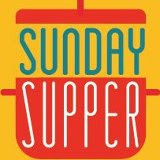 You can sign up by clicking here: Sunday Supper Movement.